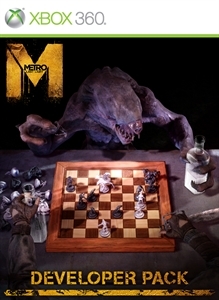 Experience Metro in a whole new way with the Developer Pack! Visit the Shooting Range to test every weapon, and complete challenges. Explore the Museum, and study the Metro's mutants and characters in maximum detail. Then pit man against beast in the AI Arena. Also included - the Spiders' Nest. Use light and fire, including your torch, lighter and the new deadly Flamethrower to escape a Spider infested nest in this chilling solo mission. Note: This purchasable item is included in the Season Pass.